Jagjivan Ram, popularly known as Babuji, founded the All-India Depressed Classes League, dedicated to attaining equality for untouchables in 1935. 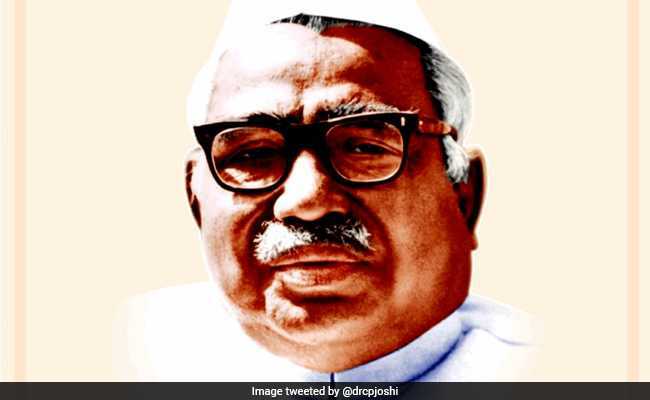 Jagjivan Ram Jayanti: Today is Dalit icon's 111th birth anniversary. New Delhi: Jagjivan Ram, popularly known as Babuji, was a Dalit icon who dedicated his life for betterment of the untouchables. On his 111th birth anniversary, Prime Minister Narendra Modi tweeted, "Self-made and industrious, the contribution of Babu Jagjivan Ram can never be forgotten. As a freedom fighter and veteran administrator, his service to India was impeccable. Babuji was a true democrat, refusing to bow to authoritarianism. India remembers him on his Jayanti," he said. West Bengal Chief Minister Mamata Banerjee also paid tribute to the revered freedom fighter and social crusader. "Homage to Babu Jagjivan Ram on his birth anniversary," she tweeted. Jagjivan Ram holds a world record of being a parliamentarian uninterrupted for a record 50 years between 1936 and 1986. Jagjivan Ram, one of the most revered Dalit leaders, served as defence minister of India during the India-Pakistan war of 1971.He later served as deputy prime minister of the country between 1977 and 1979. He was an active participant in the country's independence struggle and also founded the All-India Depressed Classes League, dedicated to attaining equality for untouchables in 1935. He was highly proficient in Sanskrit and was invited to join Banaras Hindu University by its founder Madan Mohan Malviya. Jagjivan Ram daughter Meira Kumar served as the Lok Sabha Speaker between 2009 and 2014.